Not to bad mouth the View Reference feature too much but it can certainly get difficult to search through the long list of views to find the correct one. In some larger projects, I have also found that we have some view references that exist only in linked files (sort of a no mans land). To solve this problem, Revolution Design has an add-in bundle named workFlow (with the add-in autoLink). This add-in basically allows you to create a "smart" annotation or set up an instance parameter in an element (doors, rooms) and then this view reference is set and remains linked. As mentioned, this also works with linked files. I apologize for the sales plug, and in the interest of full disclosure I did have a hand in programming autoLink. 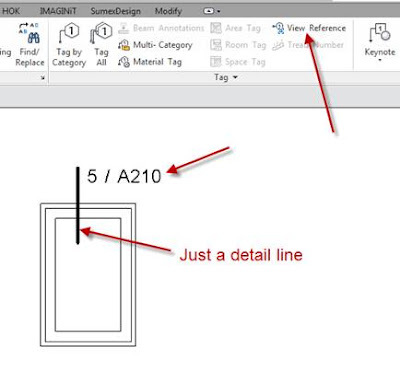 As an architect, I just feel like Revit is missing a few simple features and I appreciate the fact that Autodesk allows us to try and fill this gap. View Reference still has it's uses but I believe autoLink takes it up a notch!